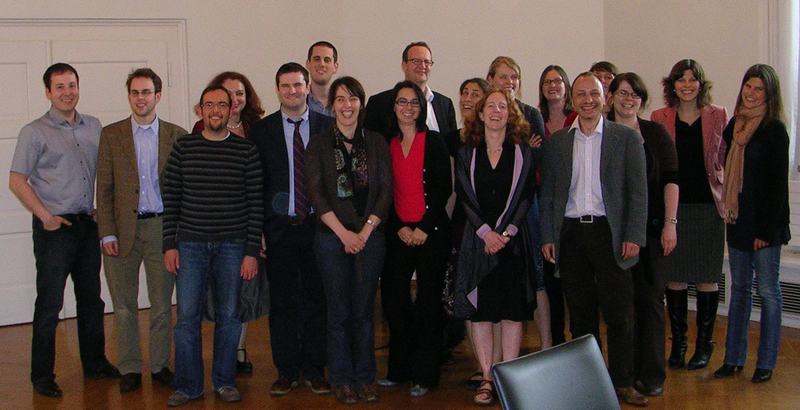 In 2009, the annual Leo Baeck Fellows’ meeting in Berlin was held in the « Dietrich-Bonhoeffer-Haus ». The meeting was preceded by the international conference « Bund & Borders. German Jewish Thinking between Faith and Power », held at the Berlin Jewish Museum (17 – 19 May). 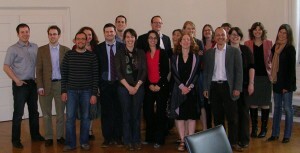 The conference – which brought together noted scholars from all over the world – was organized by former Leo Baeck fellows. This fact impressively illustrates that the Leo Baeck programme has become much more than a yearlong grant for a group of ten or so fellows. In fact, the Leo Baeck Fellowship has turned into a unique network of highly motivated young scholars who actively take up the opportunity to cross boundaries of disciplines, ages and languages. Indeed, the conference had been organized jointly by a former Israeli and a German fellow, it was held in German and English, and among those who attended were both alumni as well current fellowship holders. This spirit of cooperation is typical. Unlike the first meeting in Sussex, which traditionally serves as a first get-to-together, the Berlin fellowship meeting is explicitly meant to bring together previous and current fellows. Among the many rewards of the Leo Baeck fellowship is the fact that it conveys the sense of a larger scholarly community – a community which does not expire after twelve months. Of course, an inspiring scholarly community does not need to be all about compromise and harmony. In 2008 fellows came up with the idea of enriching the Berlin meetings by creating more opportunities for controversial debates. Instead of conceiving the Berlin meeting as a « small conference » with a clockwork-like schedule of talks, the fellows agreed in advance (in Sussex) to discuss three texts which have lately caused conspicuous discussions in the field of Jewish, German and German-Jewish studies. The idea was immediately encouraged and supported by the academic coordinators – among them Professor Weissberg, Professor Gross and Dr Wildmann. The meeting in Berlin in 2009 showed clearly that the diversity of approaches and backgrounds as well as the willingness to cross these boundaries is the backbone of the Leo Baeck programme and, perhaps, of Jewish studies in general. Unsursprisingly, the project of a second interdisciplinary conference organized by fellows is already on its way.